meticulously brewed in small batches with our signature Full Cycle blend. Each bottle of our small-batch brewed iced coffee is handcrafted using a Japanese-style method of iced coffee. We brew it hot and flash chill the coffee to lock in its bright, refreshing and aromatic flavors. We bottle the coffee immediately to preserve freshness. Our bottle's labels are decorated with an accurate topographical map of one of Nossa Familia's family farms in Minas Gerais, Brazil. Each bottle is brewed with our signature Full Cycle coffee, a blend comprised of half Brazilian beans from our family's farms, and half through other direct-trade family farmer relationships. 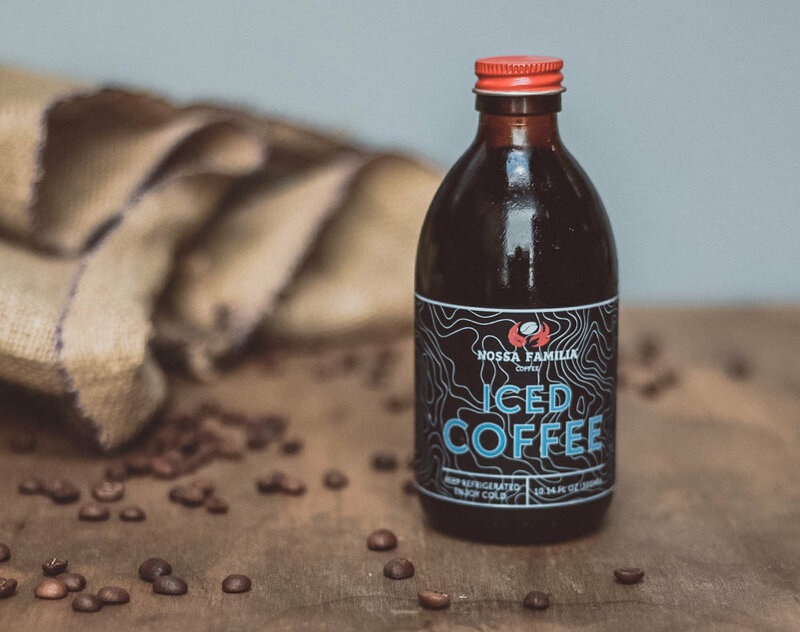 Enjoy our iced coffee bold & black, straight from the bottle, or pour it into a cup with ice. Add a touch of cream or sugar directly to the bottle and give a quick shake. Our red screw-on cap will help you enjoy it any way you like and leave some for later. Want to learn more about our wholesale bottles & kegs? Fill out our wholesale contact form, or drop us a line at wholesale@nossacoffee.com or 503-719-6605.